Hearing of the Constitutional Court petition challenging the amendment of Article 102(b) to remove presidential age limits gets underway in Mbale today. 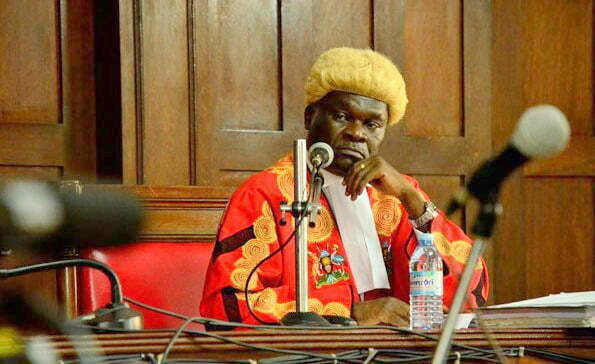 A panel of five judges led by the Deputy Chief Justice Alfonse Owiny-Dollo is set to hear the petitions at Mbale High Court. The other justices on the bench include; Remmy Kasule, Elizabeth Musoke, Cheborion Barishaki and Kenneth Kakuru. The hearing will commence with submissions of the petitioners including Uganda Law Society and Kampala Lord Mayor Elias Lukwago, who represents a section of Members of Parliament challenging the amendment. On December 20, 2017, Parliament passed the Constitutional Amendment Act, 2017 effectively removing presidential age limits provided for under Article 102(b) of the constitution. In the same amendment, parliament removed age limits for local government leaders, restored presidential term limits which had been removed in September 2005 and extended the term of office of the president and parliament from five to seven years. The amendment was a climax to an acrimonious three-month debate that saw chaos inside parliament including security forces invading the chambers to remove some of the MPs who had been suspended for what Speaker Rebecca Kadaga called indiscipline. It’s on this basis that the amendment is being challenged in court. The petitioners are challenging the legality of amending the Constitution in regard to age limit for a presidential candidate, the presence of security personnel in Parliament as well as the extension of the terms for both the President and MPs from five to seven years. In Mbale, Stephen Ahweera, the district Police Commander, has assured the people of maximum security during the hearing of the consolidated constitutional petitions that are challenging the amendment. Mbale is an opposition area with the Municipality Member of Parliament and the Mayor hailing from the Forum for Democratic Change (FDC) party. 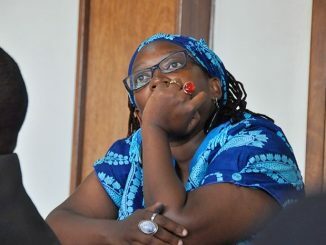 The district woman MP, Connie Galiwango, a member of the ruling NRM party, was forced to vote against the constitutional amendment in December, after she was chased away by voters from the consultative meetings. 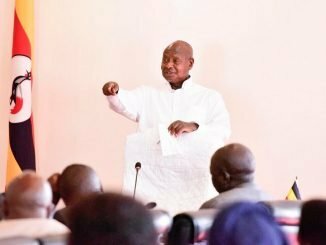 A survey that was conducted before the age limit voting titled; Citizen’s Perceptions on the Proposed Amendment of Article 102(b) of the Constitution, revealed that 85 percent of Ugandans opposed the presidential age limits removal. Ahweera added that they expect people from within the region and far to follow the hearing.